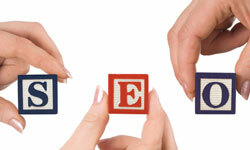 Blogging has become quite essential for any website, content has in fact become king of search engine optimization. 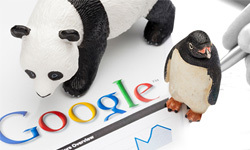 With the latest Penguin and Panda updates from Google brands are being forced to add quality content on their websites. However, there is no point in writing article after article without the content being optimized, in other words Google needs to be able to pick up your content easily. Blogging will also be useful for explaining more in depth knowledge about products and services to your audience. It gives you the opportunity to engage with them and grow your audience. Your blog is the only space on the website where you can really bring out the brands personality. It does not have to be formal or only about your products or services. It just needs to be relevant to what you do. You can promote outside events and other websites that you think your consumers will enjoy. 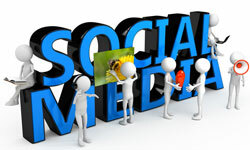 The content should be good enough for consumers to want to tweet , Google +, Pin and like on Facebook. It is important for all your pages to have keyword rich file names; you can usually do this via a custom permalink on WordPress for example. This gives Google and consumers and exact idea of what your post is about from the very first click of the URL. The more accurate the title the better; this is an extremely important element to good on site SEO. Your page also needs to have accurate keyword meta-tag descriptions. This means within your post you add meta tags that are in line with your keywords and the blog post. Make sure to add no more than two keyword specific URLs to each post, this will avoid keyword stuffing. Try link to other websites as well to make your posts more credible and engaging. Every website should have a sitemap; this will help Google to pick up your site and its keywords more easily. Be sure to add your blog to this sitemap. Websites run by WordPress have great plugins that can help with this. The best one is the Google-compliant XML sitemap, this plugin actually lets Google know exactly when there is a new post. This is an absolute must have for any site. This is a simple way to do SEO on your blog. You can use keyword rich names for each category that can also be used in URLs and meta tags. Although, make sure that each category is accurate, you do not want to waste consumers time. Nicole de Freitas is an online content writer that often wishes she could hire a projector to explain to the world how to blog properly. Wonderful tips, This blog gives accurate and precise information regarding SEO blogging. Thanks for sharing this informative blog. Great tips for not only blogging but for any website too. Thanks Nicole for the informative article. These are really amazing tips for blogging. Blogging is now most important part of SEO. Depending on what you are doing with your blog these tips will be of great importance especially if you are looking to make money from it or simply want it to make it popular. I would focus mainly on the content and ensure that it is relevant to what the blog is about. Thank you for sharing this, I definitely need to improve the categorizing order in my blog, as it’s all loose and not properly organized along with the content. As for the tags, there’s still people that underestimate them, but for me, it has always been vital to how the content will be picked up and displayed on search engines. I run a few blogs myself, and these tips are true. All of these qualities are incredibly important for a succesful website. Many people overlook things like the name of the website, and it’s tags, but they are what bring you the most traffic (excluding content itself). So if you want to have good traffic you should think of a good name and good tags! Really helpful article! I want to start my own blog but I can’t think of a good name. Each time I think of something and I search it in the internet there is blog with the same name! And the most of them are just staying there without anyone using them! There should be a rule that the blog will be deleted if you don’t use it for 1 year! In some of the recent blogs I read that google paying least attention on meta tags because of the excessive staffing of keywords in order to get higher search result. Thanks! We’re glad we helped to demystify meta-tags for you! Thank you for such an informative post! I knew a little about this but now I understand why these things are so important. I need to do more of my homework to be successful with blogging. This is an excellent start for me. I run a niche blog and find SEO incredibly useful. The Google Adwords keyword tool has been especially useful. I search for keywords relating topic, and the search results give me an idea of what people are looking for, and I generate post topics around those search results. The only thing left for me to do is create a sitemap. I didn’t think my blog needed one, but after reading your post, I’m convinced. Thanks for sharing your SEO tips! I hadn’t heard about that Google Compliant XML Sitemap plug-in. I will have to look into that more and test it out. In the past we’ve sometimes set up AdWords campaigns tailored to our newest articles to try and drive some initial traffic to them before they get indexed organically. Interesting, never thought of doing AdWords for an article… did you find that it was worth it? Did you get any natural backlinks as a result? These are great tips. Sticking in keywords that people actually search for, and using LSI is important, as long as it all sounds natural and is informative. I like using WP addons to help remind me to put all the vital information on every page and blog post. We use the Google AdWords Keyword Tool when thinking of keywords to use in our blogs. Works great! I run two completely different thematic blogs. Each has its merits, but I’ve never bothered due to SEO issues. I think it’s time to take things a little more seriously. These tips will surely be very useful to me. Maybe my weak point is the “Meta-Tag Description”. It´s in this area where I have to put a little more work, to get better results in that way. If you rank, the meta-tags will help get you clicks. Meta-tags in themselves don’t help you rank, but they do draw peoples’ eyes to your link.